Basics in pharmacovigilance and new developments. ISoP in co-operation with the Brazilian national agency ANVISA, Sindusfarma and ISoP’s Latin America chapter held a training course on March 26th to 28th in São Paulo, one of the most important economic centres and lively cities in Brazil. This training course was dedicated to ‘Basics in pharmacovigilance and new developments’ and will thereby address the specific needs and interests of people working on the field of pharmacovigilance either in drug agencies, pharmaceutical companies, in academia, hospitals or community settings. Over two and half days, experts from Brazil and an international faculty presented a mixture of talks, interactive discussions and practical exercises. ISoP intended to address particularly pharmacovigilance items in the context of the Brazilian national health system and the specific situation of emerging and rapidly growing countries and health economies. Pharmacovigilance and major tasks (signal detection, Post authorisation Safety Studies. 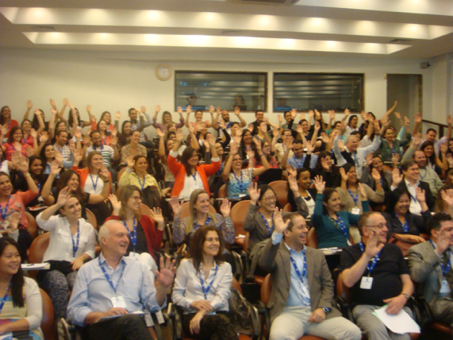 ISoP by this continues its partnership with other Latin American countries established at the 2008 Annual Meeting in Buenos Aires, at the ISoP 2012 in Cancun, the IX Encontro Internacional de Farmacovigilancia das Americas in 2012 in Brasilia, and the training course of the ISoP Latin America chapter in October 2014 as well. Training certificates will be provided to those who complete the course. 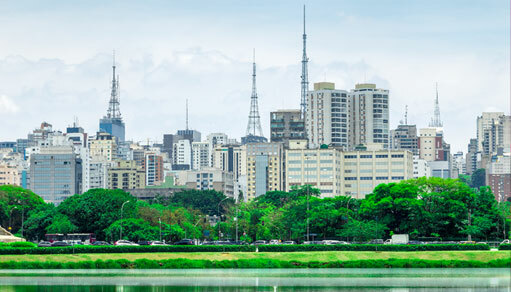 For the first time, ISoP held a training course in Brazil, more precisely in São Paulo, one of the main economic centres of this South American country. The wish and great interest to have a training course in Brazil had been expressed repeatedly by Brazilian pharmacovigilantes in recent years. Some 110 representatives from pharmaceutical companies, academia, all mainly from Brazil, and from the Brazilian national drug agency ANVISA and its branches in the Brazilian Federal States, attended the meeting. ‘Basics in pharmacovigilance and new developments’ have been the topics of the course which took place from March 26th to 28th, 2015. These subjects reflect the structure of the course: to have first a broad overview on basic principles and practices in pharmacovigilance, and secondly, to discuss more sophisticated methods, challenges and concepts in pharmacovigilance. And finally a session was dedicated to transparency, openness and communication. We had intended to have a focus on the pharmacovigilance system in Brazil and the items of greatest interest in this country. The scientific programme was aligned with the new WHO-ISoP Pharmacovigilance Curriculum, as far as possible, supplemented by two intermezzi on ‘Medical assessment of ADRs’ in specific system organ classes. The course started on day 1 with an overview on the history of pharmacovigilance, the pharmacovigilance system in Brazil, both to provide a basis for more specific items like spontaneous reporting and use of ADR data bases, developing Periodic Benefit Risk Evaluation Reports (PBRER), Risk Management Plans, and to elucidate existing international concepts and requirements. Signal detection, methods in post licensing observational studies, benefit-to-harm assessment of drug related risks as well as medication errors were in the centre of day 2, supplemented by talks about safety of biosimilars, personalized medicine, the work of the WHO Global Vaccine Safety Initiative (GVSI) and consumer reporting. A lively discussion happened around transparency, openness and communication with patients and the media. The meeting was closed with a strong unanimous plea of the participants to strengthen pharmacovigilance in Brazil by various activities in the near future with the possibility of creating a Brazilian Society of Pharmacovigilance. Please follow regularly the ISoP website for further advice on the programme and registration.